← 292 "Treehouse of Horror XIII"
"My dream has been shattered into shards of a broken dream!" Homer is on water skis, with the others on him, as he ski-jumps over sharks; everybody lands on the couch, but Homer is without his legs, which are in the sharks' mouths (a reference to the term "jumped the shark", describing a TV show that has reached its peak and is now declining in quality or has done something to cause it to decline prematurely). "How I Spent My Strummer Vacation" is the second episode of season 14. "When Marge, Lisa and Bart find out how hard Homer struggles to keep a roof over their heads, they enroll him in a Rock & Roll fantasy camp to relax at for a week." The family gets very angry at Homer after he rants about how annoying his family can be on public television and as the tension builds up, they realize that he is stressed out and sad that he could never realize his childhood dream of becoming a rockstar, so they send him to a Rolling Stones hosted "rockstar" camp, where Homer, Otto, Lenny, Carl and other Springfieldians learn to play guitar, dress, sing, evade groupies and show off like rock stars. 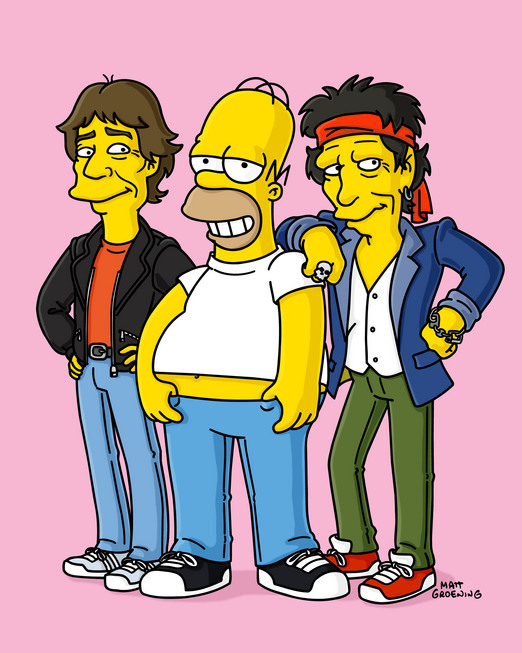 Homer is disappointed when camp is over, so The Rolling Stones offer him to help them with their concert. 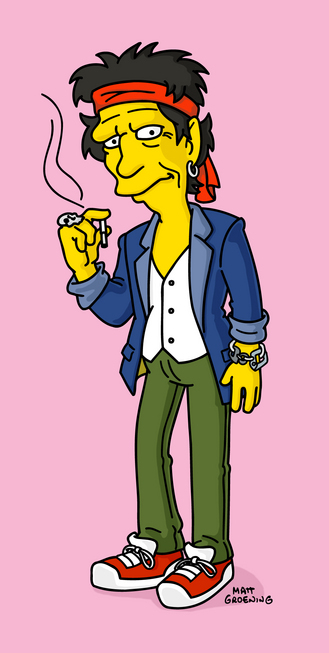 Homer even receives an "All Access" pass, and feels like he has all access, and helps himself at the squeaky-voiced teen's refreshment counter and the ladies' room. However, Homer believes that he will be performing with them and is disappointed when he discovers he was just there to test the microphone. Homer then breaks free from his testing duties and starts playing guitar and singing. 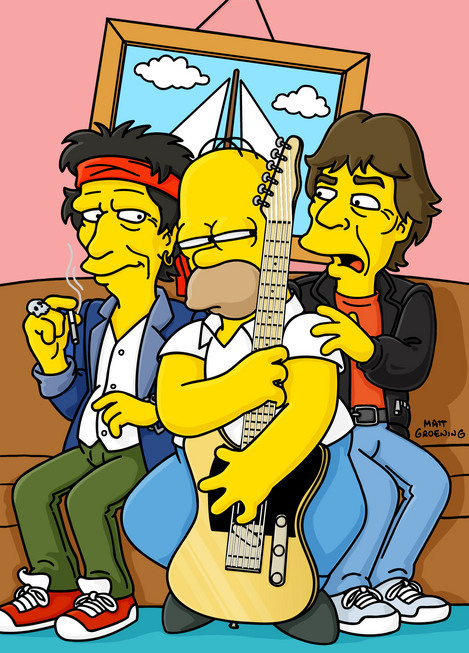 The Rolling Stones quickly get frustrated that Homer is stealing their show so they try to stop him by chasing him on-stage in a car shaped like a devil's head that spews fire. It ends very badly when their car crashes into the fans. To apologize, they invite him to play with them on their next gig but Homer kindly declines the offer, as he already has a band of his own: his family. They give the devil's head as something to remember them by, and Homer uses it to drop Bart off at school in the bus zone and burn the pants off Principal Skinner. 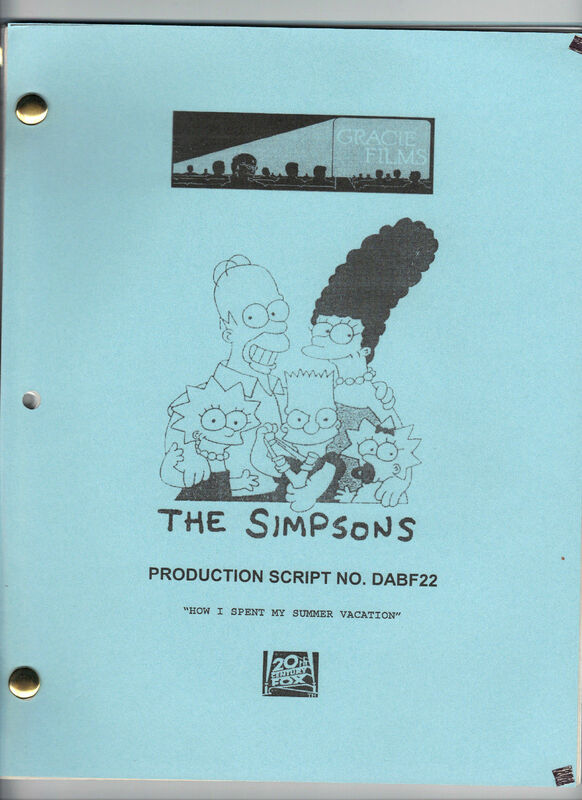 The episode was written by Mike Scully and directed by Mike B. Anderson. Elvis Costello, Mick Jagger, Lenny Kravitz, Tom Petty, Keith Richards and Brian Setzer guest starred as themselves. The episode received an 8.0/10 rating from TV.com user voters. The user score average for season 14 is about 7.9 so this episode was slightly over-average.